Over the past few years, there has been a healthy trend in Tollywood where some top stars have dubbed for other films. Ravi Teja dubbed for Sunil’s Maryada Ramanna and last year Prabhas dubbed for Vishnu Manchu in Dhenikaina Ready. 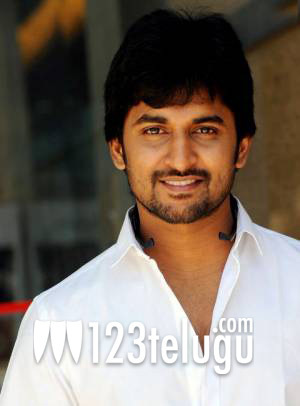 Now, it’s Nani’s turn to lend his voice to another film. Apparently he has already dubbed for Varun Sandesh, Sundeep Kishan starrer D for Dopidi. “Thank @NameisNani for taking the time out to give the voiceover for #DforDopidi,Owe you 1 buddy :),” Sundeep Kishan posted on Twitter. Siraj has directed the film and the film has been produced by Raj & DK. Melanie Kannokada is the lead actress and it’s her debut film in Telugu. Mahesh Shankar has scored the music. The film is based on the theme of bank robbery and it’ll release in mid February.